Skylight is an additional feature to our roof that can add a warm feel in a house. The cost for installing a new skylights will range from $450 to $1750 depending upon the style selected and also additional blinds or shades. Building a skylight is never considered as a DIY project. 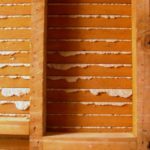 The reason is skilled carpentry is needed to prevent leaks and roof damage. In order to install a skylight, the costs and requirements for installing it depend on the design and types. These skylight types are the tubular skylights, fixed skylights, and vented skylights. The cost breakdown for typical skylight installation and materials costs are as follows. These type of skylights are usually intended to add a huge amount of light to an otherwise dark space. The cost for this tubular skylight ranges from $150 to $600. 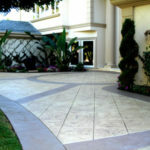 In general, the installation fees will range from $300 to $700 depending upon the amount of finish work required by the job. For instance, some tube lights install in the exterior roofing and have a finished extension leading through attic space to the ceiling below. This will greatly increase total installation costs due to the need for framing, sheetrock installation, and even structural modifications. The average price of a single, high-quality fixed skylight is approximately $200 or higher. The labor costs for installation will range widely depending upon the complexity of the roofing and the size of the window. 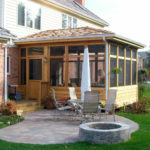 Generally, the costs fall between $400 to $1300 per window. It is highly recommended to consult with the contractor before selecting the window because the size of any skylight should not go beyond 15% of the total floor area in the room. Furthermore, the contractor will be able to indicate if the glazing should include UV protection due to the angle of installation as well. These vented skylights are available in electric and remote control models and will range from $300 to $1200 each. The installation costs associated with such a project are significant and will average between $1000 and $4000 respectively. The equal selection criteria apply to this style as to the fixed skylights. In additional to that, there might also be some extra fees due to the need for a licensed electrician as well. The skylight installation can be enhanced and improve more and the cost that entails it as follows. 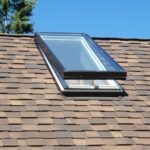 In term of cost estimation, just like so many other major home improvement projects, it is advisable that the installation of a skylight is best done after getting a few quotes from contractors in the area. They should provide all compulsory materials and labor fees in the estimate, and they should be willing to also visit the site and make a few recommendations about slope, size, and additional issues. 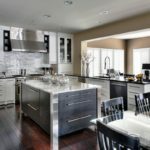 As rule of thumb, the regular installation should not require more than a two-day time span, and if labor fees extend far beyond that it is best to work with another contractor. In term of putting blinds or shades, rather than limiting the amount of solar heat that passes through the skylights, a homeowner can opt to install blinds or shades too. This will allow them to cover the windows during the heat of the day, preventing sunlight from creating unwanted heat in the room. The typical costs for blinds designed especially for use in a skylight will average between $200 and $400 each.